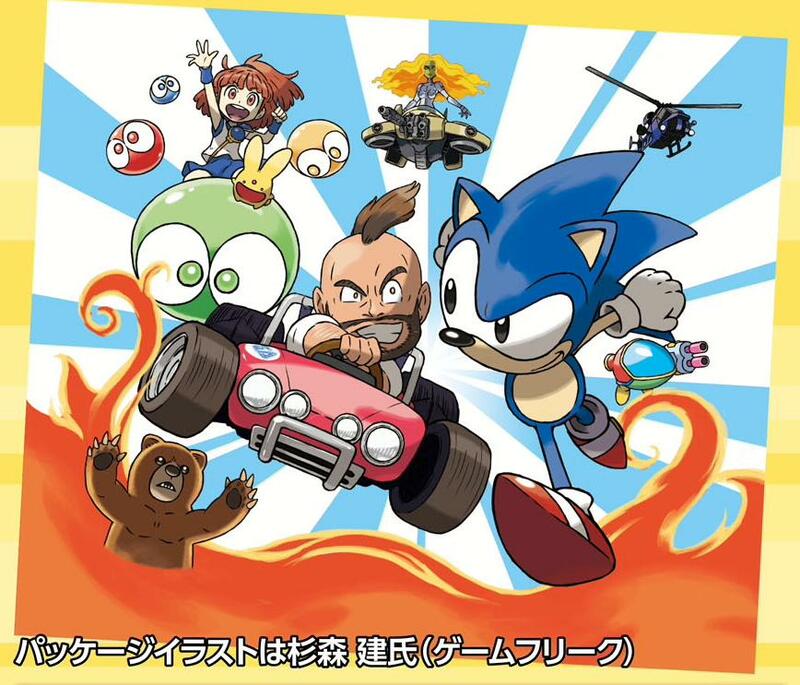 SEGA 3D Reprint Archives 2 is exclusive to Japan. 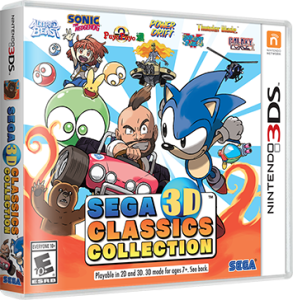 The collection bundles together 3D Sonic The Hedgehog, 3D Galaxy Force II, 3D Thunderblade, 3D Altered Beast, 3D Fantasy Zone II, 3D Power Drift and 3D Puyo Puyo 2 with two Master System titles; Maze Walker and Fantasy Zone II. It launches on the 23rd of December for 3DS. 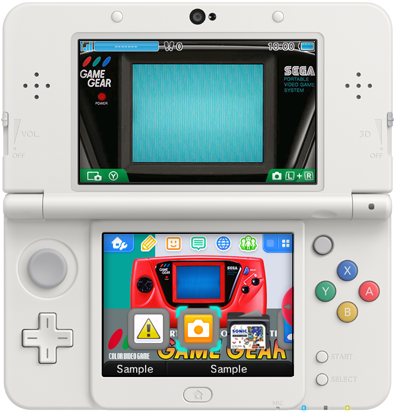 The first SEGA console 3DS theme to make the big move from Japan to Western eShops is a Game Gear one. You can check out a short video of it in action by clicking here. SEGA had been previously teasing the launch of the console 3DS themes with a short soundbyte that also confirms the existence of the Dreamcast theme. You can check that out by clicking here. 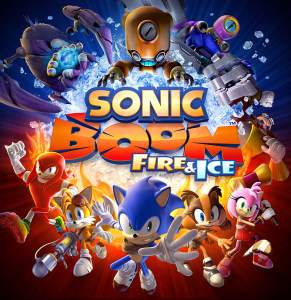 More news on release dates and what other console themes SEGA decide to make the jump to the West as we get it. 3D Sonic the Hedgehog 2 finally has a release date! The stereoscopic 3D remaster by M2 hits the 3DS eShop on the 8th of October. Outside the obvious addition of stereoscopic 3D visuals, the only major change to this version of Sonic 2 comes with the ability to save anywhere and play multiplayer co-op or vs modes with each player on a dedicated device. Also included is a new unlockable Super Sonic mode which allows you to activate Super Sonic at any point in the game. 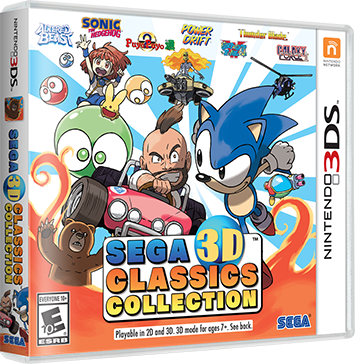 There is still no word on a Western release for these boxed collections of the SEGA 3D classics range. The next scheduled SEGA 3D classic to launch on Western eShops is 3D Sonic the Hedgehog 2 which was due for release this month but seems to have gone AWOL. SEGA Japan have revealed a new physical collection of SEGA 3D remasters for 3DS called SEGA 3D Reprint Archives 2. The new collection rounds up 3D Sonic the Hedgehog, 3D Galaxy Force II, 3D Thunder Blade, 3D Altered Beast and 3D Fantasy Zone II: The Tears of Opa-Opa while also adding new ports of 3D Power Drift and 3D Puyo Puyo 2. The cover artwork was also drawn once again by Ken Sugimori of Pokemon fame. SEGA 3D Reprint Archives 2 will be a Japan-only 3DS release. There is currently no word on a release date. Project X Zone 2 will feature Segata Sanshiro in his first playable outing since Segata Sanshirō Shinken Yūgi for the Saturn in 1998. Segata Sanshiro originally featured in a run of popular Japanese advertisements for the SEGA Saturn. Sanshiro will be a solo unit in the crossover strategy RPG which also features characters from Capcom and Namco Bandai franchises. He joins a cast of SEGA characters that include Akira and Kage-Maru from Virtua Fighter, Kazuma Kiryu and Goro Majima from Yakuza as well as Hotsuma from Shinobi. Project X Zone 2 is being developed by Monolith Soft and will be released by Namco Bandai in Spring 2016 for the 3DS. A demo for Hatsune Miku: Project Mirai DX has gone live on the North American and European 3DS eShops but a publishing glitch has resulted in a strict one use limit for European players. This probably won’t get fixed before the game’s full release. The North American version suffers no problem with the standard 30 use limit being available. I’m still not sure why the 3DS eShop restricts the amount of uses a player can have with a demo anyway, but at least the North American audience can have a little longer with the demo before they decide to buy the full game. Remember being able to keep demos? Good times. Anyway Hatsune Miku: Project Mirai DX launches on the 8th of September.